Access even more eBooks thanks to RAILS (Reaching Across Illinois Library System)! The same system that brought you eRead Illinois has partnered with Bibliolabs to give all Illinois residents access to titles not available through either eRead Illinois or eMediaLibrary - Popup Picks! The Popup Picks collections change quarterly with new titles every 3 months selected by Illinois librarians. The newly curated collections are here! From now until July 2017, check out Kids Only!, Young Adult, City Spotlight, On the Go, and many more! And just in time for C2E2 – fangirls and fanboys will want to peruse Comic & Graphic Novels. This might just be our favorite collection so far! Popup Picks is the first of its kind in the country. Check out our current batch of books before they’re gone! Download the apps for your Apple, Android or Amazon device, or read right on your computer. 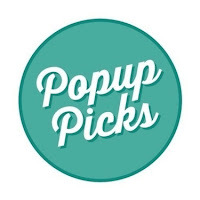 Check out Popup Picks now!